You know how it is when the weather is dry but a bit cool, so full weather-proofing isn't required for that cycle commute or Sunday ride. It's important to get thermal protection right for your hands, so that they don't go to the extremes of overheating or getting achingly cold. 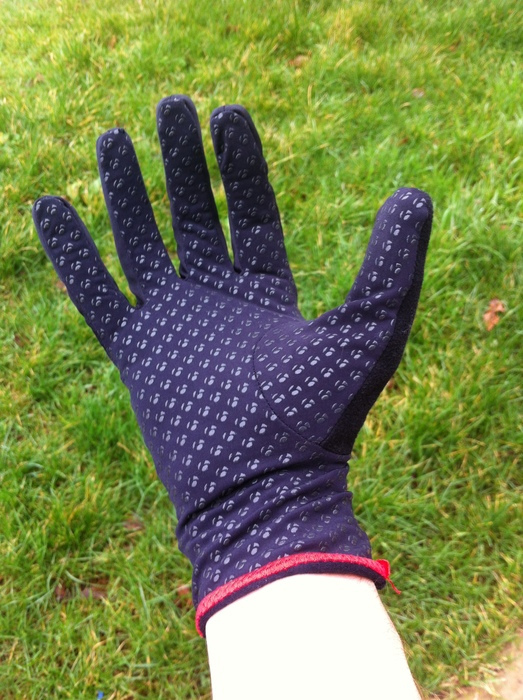 This glove, the Bontrager "Solstice Widnshell Glove" (that's what it says on the tag) is physically very light, but fits so snugly that it seems to act like an extra few layers of skin - very comfortable and a decent barrier to the wind. 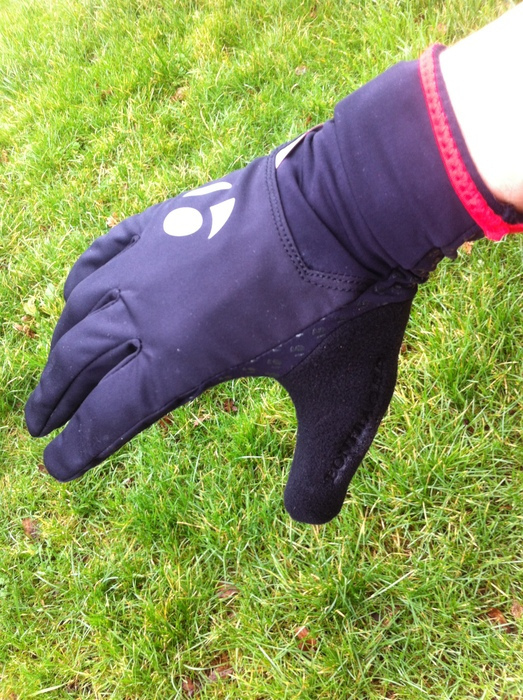 The length of this Bontrager glove also helps with wind chill protection: its elasticated collar extends right over the wrist, so you stretch it over the ends of your long-sleeved jersey arms, creating a continuous wind-proof layer if required. There are also no velcro straps on the glove wrists, which I think is a good thing as in my experience they are often the first things to fail.